The rise of eCommerce has given a lot of choice to customers. And customers are always looking to understand a product as much as possible before hitting the purchase button. A store that offers the closest experience to buying from a physical store would have a natural edge over others in terms of conversions. Naturally, product videos are a great option to give a clear idea of the usability of your product to customers. In this article, we will discuss some of the aspects you need to consider to make better product videos on your WooCommerce store. On your product pages, you can create two different types of videos. One can be a sales pitch that tells the user why they need the product. There can also be an explainer video that explains how the product works. Both these videos will have an impact on your sales and conversions. You can do some testing to understand which type gives the best results on your store and accordingly feature one or both. These two types of product videos have fundamental differences in what they are trying to achieve. The marketing video will be keen to generate an interest in a potential customer. On the other hand, a user who is opening a product explainer video will be already interested in the product and wants to know more. You can create explainer videos, product promotions and a lot more in minutes with Renderforest. How to improve your product marketing videos? When you are creating marketing videos on your product pages, you need to focus on the following aspects to get it right. We will discuss the specific aspects of explainer videos a little later in the article. In a product video you should be able to tell simply and clearly the purpose of the product. A product video that straightforwardly tells how the product solves a particular problem that the user faces would be the easiest way to go. When you are conveying how a product would help to solve a problem they are facing, you will instantly have the users’ attention. Also, make sure to keep it short. Nobody would like an elaborate video when you are just introducing a product. More than getting into an explanation mode, a product marketing video can just provide an overview of the product and its features. The modern age shoppers are an impatient bunch. If you are not able to offer something interesting in the first few seconds of the video, you are going to lose the attention of the audience. As mentioned in the above point, the best way to connect would be by telling how one of their problems can be solved with this particular product. Try to grab the attention of your audience very early in the video. When you try to talk about how your product solves some problems faced by your audience, you need to get the problem right. The problem you are addressing should be a genuine one and a wide section of your audience should be able to relate with it. If you are demonstrating a problem actually faced by your audience, you will get their attention without much efforts. You also need to resist the temptation to discuss too many problems in one video. Stick to one problem that affects a large number of your audience. Video is not only about the visuals. You need to have an interesting audio script to get the ideas across. Users might lose interest quickly if a video is completely without sound. If there are silent stretches in your product marketing video, you need to include a background music track to keep the video lively. However, there is another side of it. A large number of video views on Facebook happen without sound. That is because users are opening it at workplaces or other public places where they prefer to keep it silent. How will you convey the message in such a scenario? You can include subtitles or captions on the video to balance the lack of audio in such cases. A striking call to action message is a mandatory feature of any marketing video. At the end of the video, your viewer should be compelled to take an action, preferably purchasing your product. Sometimes encouraging customers to click the add to cart button would work in this regard. You can also direct customers to do further research on the product. Informing them about an ongoing sale on your store might also work really well to improve conversions. A lot of stores would also simply ask the audience to subscribe to their newsletters or share the product on their social media channels. Irrespective of the intent of the call to action, you need to include it in your product marketing video. Without a credible call to action message, the effectiveness of your marketing video is largely diminished. 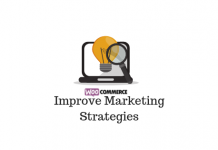 How to improve explainer videos on your WooCommerce store? When you create an explainer video, you are actually aiming to educate your audience to understand how your product works. It is best if you follow some of the guidelines endorsed by experts in the area. Let’s take a quick look at some of the guidelines you can follow while creating interesting explainer videos on your product pages. One of the first things you need to focus on is to create a script for the video that resonates with the audience it is targeting. If your video is full of industry jargons or complex terms, you will fail to sustain the attention of your audience. So your script needs to be speaking the language of your audience. If you are focus on a broader audience, make sure to include basic concepts to help a complete beginner also to understand. So, make sure you have a clear, simple script to start with. When you are creating an explainer video on a product page, the message should be presented directly. If you are showing them how to use your product to solve a problem, make that clear at the start itself. Never confuse your audience in terms of the message. Try to be as straightforward, simple and concise with the message. Animations and graphics can help a lot in sustaining the attention of your audience. If you are using interesting animations and graphics to complement your script, your video will be more interesting to watch. Naturally customers would prefer a lively video than a dull video laden with just facts. It will only help the cause if you make a small attempt to entertain your audience along with educating. However, you need to be careful to not go overboard with any of these. Use graphics and animation only where it adds value to the message that you are trying to convey. Similarly, fun elements should be only rarely used and should never appear forced. An explainer video on a product page should make the user understand the functionality of that product. Nothing works better for this than demonstrating the exact process of the product. Now, a product can have several usages, but it is best if you demonstrate the primary ones. For digital products like plugins, a video demonstrating the basic functionality can help the users a lot; sometimes even more than the documentation. Similarly for any physical product, a prospective customer can be convinced when you neatly present its basic functionality. Even existing customers might get a tip or two if they watch a basic demonstration of the product. This will definitely help to improve the overall customer experience on your store. When you create an explainer video, there might be a temptation to list out the various features of the plugin.However, it is better to refrain from this and simply demonstrate the basic functionalities. You will have a list of features on the product page anyway, so there is no need to repeat the same in an explainer video. The placement of the video on the product page can also play a role in the success of the video. You can do some A/B testing to understand the best placement. There are possibilities that users engage more with a video when placed optimally. There are plugins that will help you position your videos at different locations on the WooCommerce product page. That helps you set a position that will help you get the best user engagement. 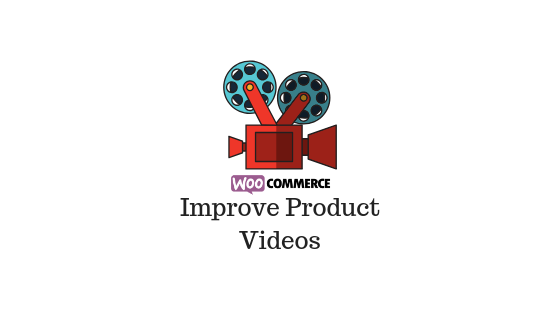 How will you seamlessly upload product videos on your WooCommerce store? There are some interesting plugins in the market that can help. Let’s take a look at the features of these plugins. As you know videos on your product pages will bring in much better results than simple text or even images. That is because with videos your users will get a better understanding of your product. This plugin helps you attach an audio or video file on the featured image section of your WooCommerce product page. You can also choose to display a gallery of videos on the sidebar of your product page as well. It supports most of the common audio and video file formats. This plugin helps you upload video or audio files on your WooCommerce product pages. You will be able to create a customized video gallery with the help of this plugin, and you don’t need to embed videos from video hosting services like YouTube or Vimeo. The plugin gives you control to manage the display options of videos on your product pages. You can choose to play the video on a modal window. Similarly, you get to choose what controls are made available for users (such as ability to stop the video). It also offers customization options like the ability to change the background color of the control panel. For variable products, you can customize how the video content is visible for each individual variation. And for audio files, you can provide a link to a Soundcloud track, which would work well when you are selling music tracks. The single site subscription of the plugin is priced at €49,99. The subscription would cost you €89,99 for 6 sites, and €169,99 for 30 sites. With the help of this plugin, you can add an embedded or self hosted video to your product image gallery. 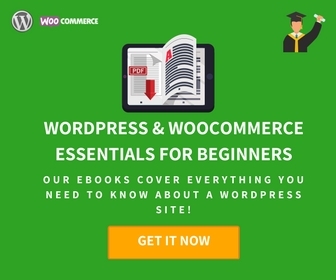 The plugin will be useful only if you are using the default product image gallery of WooCommerce. If you are using a theme that creates its own image gallery, this plugin might not work. Also, you need to overwrite two template files for this to work. If the template file update is not your cup of tea, they have an alternative plugin that doesn’t require that. This plugin helps you add self hosted or embedded videos to your WooCommerce product image gallery. 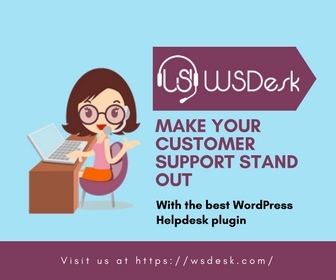 With the help of this plugin, you can upload self hosted or video images to your product gallery. It supports major video hosting platforms such YouTube, Vimeo, Wistia, etc. You can also embed SoundCloud links through this plugin in case you are selling audio files on your store. The regular license of the plugin has a price of $50, whereas the extended license will cost you $155. You can also use Barn2Media Product Table plugin to set up a video gallery on your WooCommerce store. Find more details here. 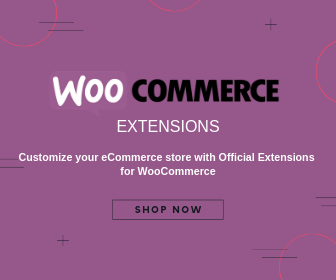 How to optimize your WooCommerce product pages?